Calacatta Cressa 2" Hexagon are crafted from fine natural stone. 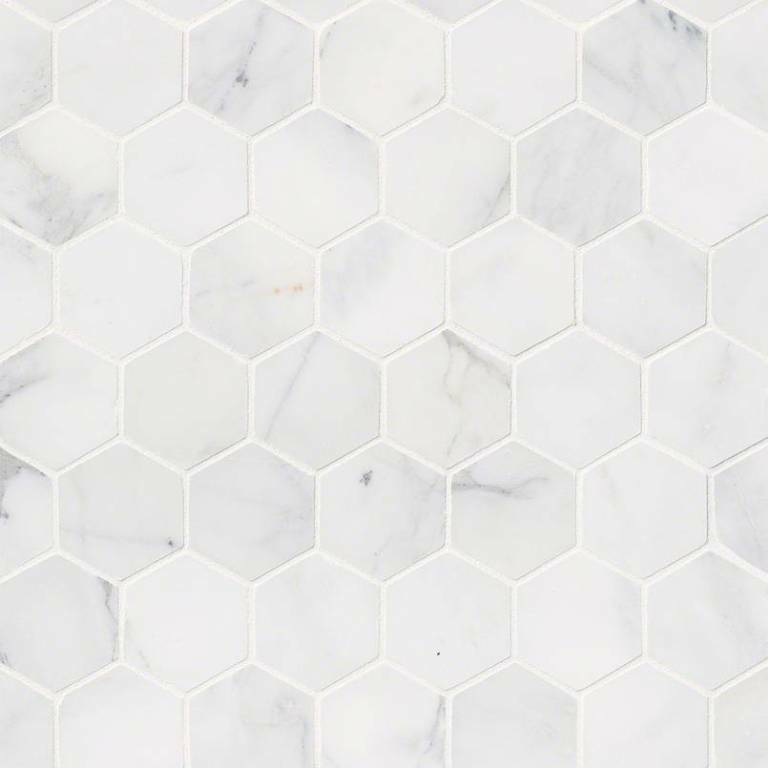 These marble tiles have a decidedly classic and timeless feel and they are well suited for a variety of projects including floors and as backsplash tiles. They coordinate beautifully with a wide range of other natural stone mosaics and tile.